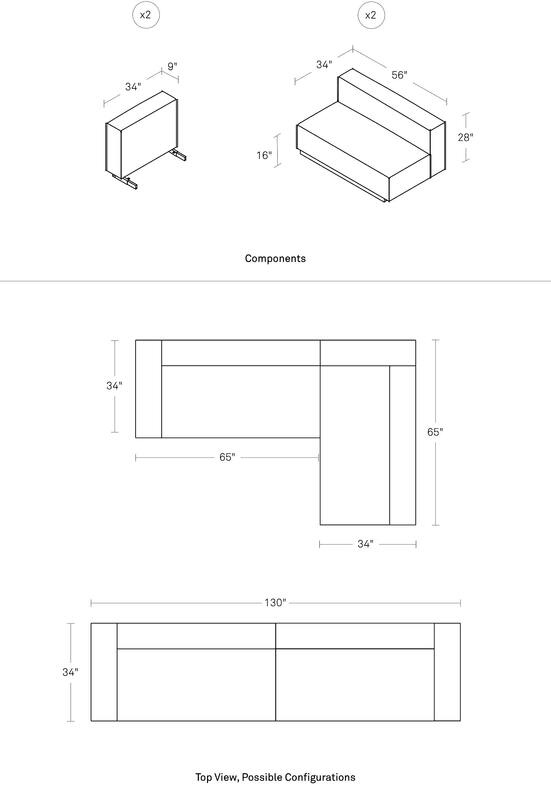 Cleon's three modular pieces are designed to let you configure and reconfigure your own perfect seating solution. Stick with your favorite or switch it up. 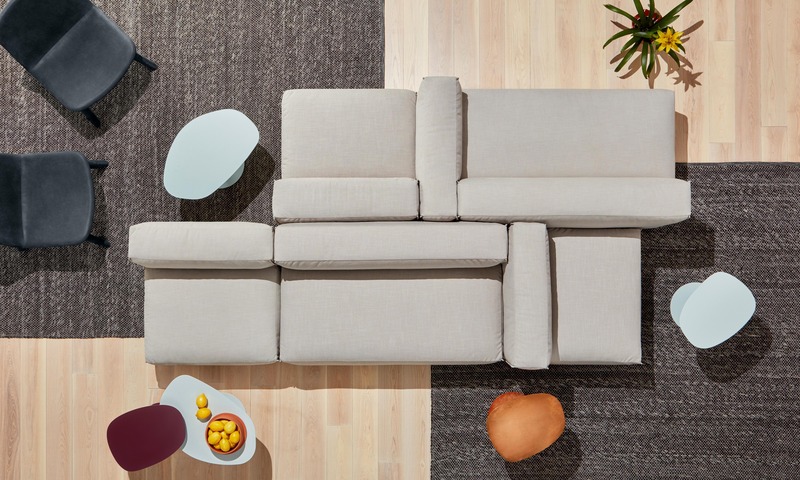 The upholstered components of this small sectional sofa can be connected to create multiple size and shape possibilities. Zig-zag stitching detail and gentle pleating at the seams round out the package. Shop the entire Cleon Collection. It was a challenge to make a really flexible system out of a limited number of parts. With Cleon, we were determined to create modular seating that could be configured a boatload of ways – from simple small sofas to larger sectionals to really large multi-sided islands you might see in a hotel lobby – with just three unique components. Once we figured out the system, we spent months creating the perfect casual, rumpled look using just the right mix of down-filled cushions and gathered seams. Like that friend in college who had the sloppy/casual preppy look that you knew took years to cultivate.